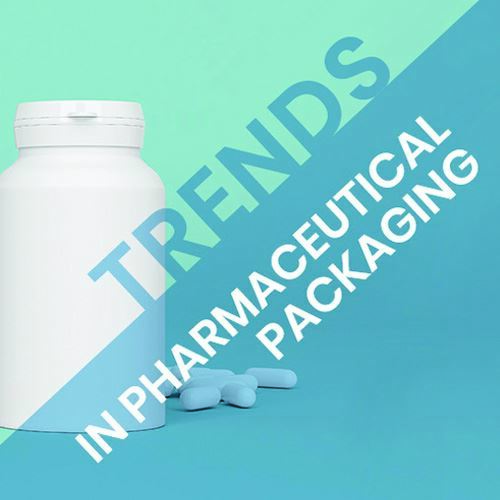 Last issue, we released a trio of what we considered apparent trends in the pharmaceutical packaging space. We received a few comments on them, ranging from the positive ("You did a great job of summarizing the state of the sector and where it's headed.") to the lukewarm ("Good article on trends, but I was hoping for something more provocative"). As they say, there are different strokes for different folks. We've decided to follow up with some more trends we believe are bound to make waves in the space. First and foremost, the big concerns in the space are still there. Everyone is scrambling to make sure they meet all sorts of regulations. New FDA guidelines, ever-oscillating EMEA regulations, and all sorts of regional standards seem to keep making a shifting quagmire on which it's hard for packaging firms to stand without being turned about. The big news these days seems to be centered on personalized medicine, otherwise known as precision medicine, theranostics, or stratified medicine. The trend is to move patients into groups based on similarities in genome, recognizing the molecular basis of many diseases. This being the case, packaging producers are going to need to find ways to pack the same or at least very similar medication in different ways to assure stratification is possible. Further, many individuals may require specific treatments of drug combinations or as part of an ongoing pharmaceutical regimen. Hence, mixing and matching are going to become key elements within the next decade, assuring that those with serious or life-threatening illnesses be provided a targeted treatment managed in part by the packaging it comes in. With precision medicine and subsequent compliance becoming such a hot topic, the packaging of these sorts of treatments will become key. There will need to be some sort of feedback mechanism to ascertain what sort of packaging works and what doesn't. Compliance with treatments can be affected immensely by the ease of use of the packaging. Though patients undergoing extended treatments for serious illness are obviously more motivated to follow a specific regimen, removing barriers to use is never anything but beneficial. Hence, having some sort of simple mechanism to receive usage feedback is going to become more and more prevalent, particularly where precision medicine is concerned. The gap between rich and poor in developed nations is indisputably widening. As a result, the gap related to access to medicine between developing and emerging nations is lessening. As underdeveloped countries continue to grow in populace, education, and spending power, new markets for medication are opening up all over the world, and not just through UN-sponsored entities. Private business is stating to take notice of African, Asian, and South American areas that heretofore have been off-limits due to poor profit margins. As these locations develop further and inevitably come close to or sit on par with North American and European living standards, packaging companies are going to snap up production or distribution facilities in these places to make sure they can service the pharmaceutical industry's needs locally. Serialization is one thing but tracking is now entering a phase where electronic feedback can check not just the pallet or case level, it can offer insight into individual containers. Electronic integration can now test for dosing and adherence to scheduling. Not only can serialization give a global perspective of the shipment path of each crate, micro-tracking can test for individual patient paths and usage. This makes the entire procedure not just a litmus test against theft or counterfeiting, it can evaluate how patients really interact with their medications and by extension the packaging. The most minute details of transport paths as well as individual usage are well within the reach of existing technologies. This really comes down to a question of cost/benefit analysis for each product line.